What should I expect in my initial appointment? When taking a Functional and Integrative approach to health your complete history is very important to us. Prior to your first appointment, you will receive a very detailed intake form that will ask you about your life from conception all the way to your current concerns. It will be important that you are thorough in answering these questions as it will better help us understand you as a whole person. On the day of your appointment, you will spend 60-90 minutes with Dr. Dyer going over your history, telling your story and identifying your primary concerns and goals. You will undergo a detailed physical exam that will include a bioelectrical impedance analysis of your body composition. We will recommend some basic lab testing to help us with our investigation as well as more advanced testing, if indicated. Within a week of your first visit (or same day if traveling from out of town), you will spend 60 minutes with our Health Coach to help put a plan in place that will get you on your way to wellness. No, this is primarily because insurance does not accept me. Insurance companies would rather pay for multiple short visits that focus on pharmaceutical interventions than long, personalized visits that focus on root cause resolution of disease. By working directly for you and not the insurance company, we are able to give you the personalized care needed to move towards optimal health. It is important to note that our membership does NOT constitute insurance and does NOT satisfy the requirement by the Affordable Care Act (ACA) to have an insurance plan. Members often save money by combining our services with high deductible plans. The high deductible plans serve as ‘wrap-around’ insurance for major events that might require procedures or hospitalization. The membership can take care of your everyday health needs including treating chronic medical conditions. This is similar to using car insurance to cover for big accidents, but paying out of pocket for the routine maintenance and upkeep. What forms of payments do you accept? When will I have to pay? We accept cash, credit/debit card, ACH and in many cases, HSA funds. 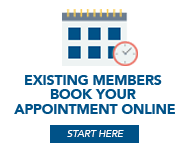 We are a membership-based practice, and the membership fee will be assessed at the first of each month. There is a $150 initiation fee due on the day of your first visit. There will be a 10% discount for paying in 6 month increments. In addition to the basic testing you are accustomed to getting from your PCP, we have the ability to do advanced functional medicine testing to gain a much better idea what is going on in your body. If indicated, we may check a stool analysis, advanced lipid testing, advanced thyroid testing, heavy metal testing, vitamin and mineral level testing, advanced adrenal testing, food sensitivity testing, gluten sensitivity testing, genetic testing and more. This is a common question, and the answer is YES. Let’s look at some statistics: if you add up adverse prescription drug reactions, medical errors, surgical complications and hospital acquired infections from our conventional medical systems, it ends up being one of the top 3 causes of deaths in our country. In addition, research shows you are 60 thousand times more likely to die from a prescription drug than a food supplement and 7 thousand times more likely than herbal remedies. At Premier Integrative Health, we take an Integrative Medicine approach which uses the best of both conventional and alternative medicine to get you on your path to wellness. To get started, contact us for an appointment. Personalized Medicine is a form of medicine that uses advanced information to tailor a treatment plan that is specific for YOU. In conventional medicine, if someone comes in complaining of migraines they are usually given a pain reliever and told to come back if that does not work. However, the symptoms they are having are not due to a deficiency of ibuprofen, Tylenol or Imitrex. Migraines could be secondary to food sensitives, poor sleep, increased stress, nutrient deficiencies, musculoskeletal dysfunction etc. and a personalized medicine approach will look to discover what is causing YOUR migraine. At Premier Integrative Health, we take a very detailed history and will likely ask you questions that you may have never been asked before by a healthcare provider. We also may utilize advanced testing when needed to help better understand the biochemical makeup of your body and get to the root cause of disease rather than prescribing “bandaid” medications to mask the downstream symptoms. This approach can often identify early signs of chronic disease which allows us to prevent or dramatically reduce your chances of developing the condition in the first place. What a concept!! Will you replace my primary care physician? We require that our members continue to maintain a relationship with their in-network primary care provider. Our focus at Premier Integrative Health is utilizing integrative and functional medicine to treat, prevent and potentially reverse chronic disease. That being said, if you are looking for more natural approaches to acute conditions such is coughs, colds, aches and pains etc. then we are happy to help you with that as well. We do not provide emergency care, and we do not prescribe opiates or benzodiazepines. Dr. Dyer’s initial training is in Internal Medicine; therefore, he will only be able to see patients 16 years or older. Currently, we are unable to see Medicare eligible patients. This will be changing in the near future. If you are wondering if you are eligible, please contact us for more information. To schedule a free 20 min consultation to learn more about how the practice works and how we can help you click here. To schedule your initial appointment, please send us an email at drdyer@pihkc.com or give us a call at 816-226-5050. We are located at 529 Walnut Street, Suite 230 in Kansas City, Missouri.